The Sacrament of Reconciliation is one of the seven sacraments of the Catholic Church. Reconciliation is also known as The Sacrament of Penance or Confession. The penitent, with a contrite heart, names their sins in kind and number to a priest who gives absolution through Jesus Christ. Reconciliation, what’s in a name? As mentioned in the previous post on “The Anointing of the Sick” many sacraments of the Catholic faith are known by more than one name. In the case of reconciliation, the varying names convey a different focus around the ministry of the Latin Church to forgive sins. The Catechism continues by listing out those names in CCC 1422-1423. I’ll give you the 'cliff notes' version but you can read it for yourself here. The Sacrament of Conversion: The first step in returning to the Father after straying into sin. Reconciliation is an answer to the call to conversion. The Sacrament of Penance: Consecrates the Christian sinner’s steps through conversion, penance & satisfaction. The Sacrament of Confession: It is essential to confess what sins have been committed, but it also confesses the truth of God’s divine mercy. The Sacrament of Forgiveness: Through absolution God grants the penitent pardon and peace. The Sacrament of Reconciliation: It imparts the love of God who reconciles the sinner to Himself. Our Lord Jesus Christ instituted the sacrament of confession when he appeared to the disciples in the upper room after his resurrection. From this moment on, Catholic churches and priests took on the ministry of forgiveness of sins, the power of forgiving, as a direct command from the Lord. This can be seen in the apostolic constitutions and other early Christian writings such as the Didache. Many such writings can be found in the Catholic encyclopedia found at newadvent.org. Catholic Answers does a much better job of explaining in detail how the power of binding and losing sin was passed on than I can hope to here. Suffice it to say that Jesus chose to establish the ministry of reconciliation to obtain forgiveness of sins in a way that requires both the grace of God and the Church, the Body of Christ. The confession of sins and sacramental absolution were divinely inspired by the Father of mercies. The Church carries out His will and returns to God all the glory for He has chosen to share with us His mercy. Proceeding the reception of the sacrament it is important to engage in an examination of conscience. If your parish hands out a paper guide for confession, there is no doubt a large portion of that guide to the sacrament dedicated to the examination of one’s conscience. The examination is meant to help guide the penitent through the time since their last confession and remind them of the sins for which they must confess. During a penance service this examination is often done aloud, and often guided by the officiating priest, but may be guided by other leader’s dependent upon the circumstances of the penance service. For example, when celebrated in a Catholic elementary school an examination of conscience for children might be read at the ambo by the religion teacher. There is a plethora of examinations available on the internet through a variety of ministries, but you can’t go wrong with options provided by the United States Conference of Catholic Bishops. The USCCB offers several options here for people of all different walks of life. The USCCB also suggests that any guide for confession should base itself on the ten commandments. It’s important to match the examination with the group receiving the sacrament. 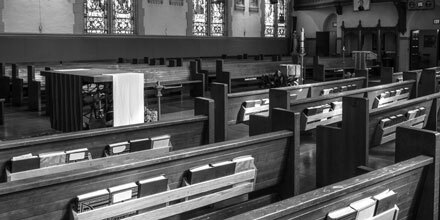 Second graders doing faith formation or sacramental preparation do not need to be guided through their sins in the same way a single adult would during adult faith formation. Original Sin – The sin inherited as part of our human nature after the fall of Adam and Eve. This sin is not confessed, but wiped away during the sacrament of Baptism. Mortal Sins – A grave sin, or serious sin, committed with full knowledge and complete freedom of the will. Mortal sin severs the sinner’s relationship with God and cuts one off from God’s graces. Without a sacramental confession the individual risks eternal separation from God. Venial Sins – Any sins committed after Baptism that are not mortal sins. Sin committed of this type damages one’s relationship with God, but does not cut one off from His grace and friendship. Confessing mortal sins mends our relationship with God and allows us once again to receive His grace. The sin barrier between us and God’s gift of eternal life is destroyed in the sacrament of reconciliation, but what remains is the temporal punishments due to sins. This point is a stumbling block for many who seek to join the Church from Protestant denominations. A good way of looking at how temporal punishment works is to take a look at the story of the prodigal son. 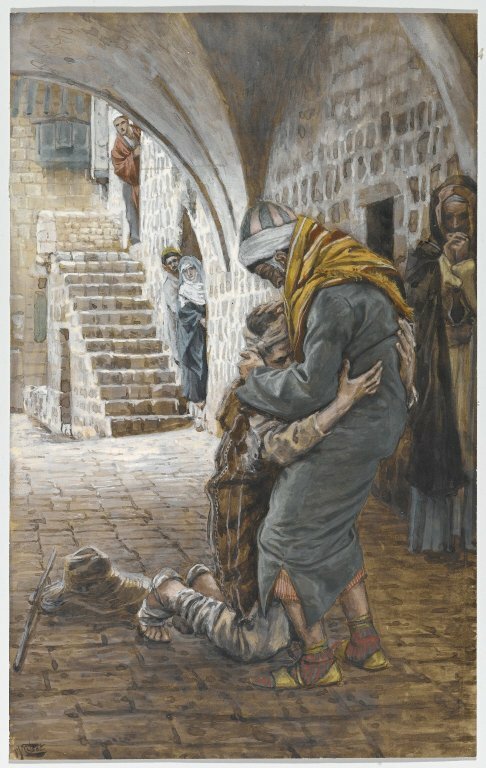 The prodigal son repented of his sin against his father. He took the steps to return to him and was prepared to do whatever penance he must to be with the family again. The father welcomed him and showered him with gifts and happiness, but what the story only briefly alludes to is the wounded relationship between the prodigal son and his brother. Although the father welcomed him into the family and forgave his transgression, there are still wounds in the family as a result of the sin he committed. The prodigal son is unable to enjoy the perfect joy of family life until he deals with the wound his sin caused, a sin against the father that is completely forgiven. That wounded relationship is a good analogy for temporal punishment. Confession puts us back on a path toward heaven, and if we were to die, we would certainly achieve heaven having confessed our sins. However, we are still wounded by our sins and attached to our sins in a way that requires us to do some work. The prodigal son must do some work to mend his relationship with his brother even though his place in the family is secure. Nothing unclean can enter heaven. Therefore, although we are redeemed and have no need to fear eternal punishment, our sinful tendencies still must be purged before entering heaven. So, if we die in God’s friendship, but are still attached to our sins in some way, we must still deal with those temporal punishments due to sin before entering the gates of heaven. The Church calls that purging, Purgatory. Not everyone has to go to Purgatory. God’s merciful design allows us to deal with these attachments here in this life through the acts of the penitent. Pope Paul VI most recently reformed this process in the Document called Indulgentiarum Doctrina. When it comes to indulgences, the practice has received a lot of bad press over the centuries, and for good reason. There were legitimate abuses of this practice that needed to be cleaned up. There were also many misconceptions. Indulgences don’t “buy your way into heaven” they remove some or all of the temporal punishment due to sin. They actually have nothing to do with salvation. For an indulgence to have any effect, one must already be on their way to heaven. Contrition is a necessary component of confession. Immediately before receiving absolution one must make an act of contrition in front of the priest. If you look at the words Jesus used when instituting the Sacrament of Penance, the confessor is also within his power to hold your sins bound! One reason for doing so would be if a person were to approach the sacrament without a contrite heart. Either type of contrition is sufficient in order to make a confession and have our sins forgiven, but what many may not know, is that in times when the sacrament is unavailable for whatever reason, the penitent may still have their sins forgiven by making a perfect act of contrition. Part of making a perfect act of contrition for a Catholic however, is the desire to make a sacramental confession. If the barrier to confession is lifted the penitent must also make a sacramental confession. When priests hear confessions and forgive sins in the name of the Lord, they will also give the penitent a canonical penance, usually just referred to as “your penance.” Public penance is no longer practiced unlike in the middle ages when a public person would sometimes be required to complete a public penance for certain sins. Penance gives you the opportunity to take some steps back toward the Lord. It loosens the grip of your attachment to sin and helps to reorder your life for the good. According to Catholic doctrine, in order to be admitted to holy communion one should be free from any mortal sin. This means that individually confessing each mortal sin and receiving God’s forgiving mercy is essential to Catholic spirituality and living a sacramental life. Many are afraid to approach the confessional because of a lack of trust or understanding in the sacramental seal of confession. However, there is no need to fear. For Catholic priests, violating the seal of confession is punishable by excommunication, which would strip them of their priestly faculties and, for ordered priests, remove them from their community of consecrated life. The priesthood takes this seal very seriously. Priests risk jail and some have even been put to death for refusing to break the seal of confession. This has recently raised some ongoing questions within the Church about cases of murder or child and youth protection. How to protect our communities, while providing zero barriers to the mercy of God, is a difficult matter to wrestle with. Part of a holy family’s healthy spiritual life should be frequent confession. Some of the greatest saints of our Church have urged us to practice regular confession; saints such as St. Thomas Aquinas, St. Augustine, St. Ambrose and St. John Chrysostom to name a few. Pope Francis speaks regularly on the need for frequent confession as well. Pope St. John Paul II’s practice was to go to confession every week. Every week! That alone is enough to earn this champion of the family the title “Pope John Paul II the Great” in my book. Family life is the best teacher of healthy spiritual practices, such as praying the Rosary, the liturgy of the hours, stations of the cross, using prayer books and familiarity with the Roman Missal. Ignatian spirituality is also steeped in the call to the sacrament of conversion as evidenced by the conversion of St. Ignatius himself, who was left with a lot of time to examine his own conscience after being wounded in battle. John the Baptist was even preaching about the necessity of receiving the forgiveness of sins before the ministry of Jesus even began. Some saints even took it a step further and confessed publicly in well circulated documents such as St. Patrick's and St. Augustine's. In the early church that sort of public confession was the norm. Praise God we can receive confession and absolution privately from a priest! My family reads a saint of the day book by Matthew Sheehan, and it is filled with story after story of saints transformed by the power of the sacrament of conversion. Although confession is a very personal experience, it’s important also to take note of this line in the Catechism: “Regardless of its manner of celebration the sacrament of Penance is always, by its very nature, a liturgical action, and therefore an ecclesial and public action.” (CCC 1482). Our sins effect the whole church so our forgiveness of those sins also effects the whole Church, as we are all the body of Christ. Sometimes people can be unsure about what exactly their obligations are in regards to confession. At the risk of appearing to be legalistic, it can be very helpful to get the information directly from the horse’s mouth, or in this case the Code of Canon Law. Much of the following was addressed at the fourth Lateran Council, especially cannon 989. Canon 987 To receive the salvific remedy of the sacrament of penance, a member of the Christian faithful must be disposed in such a way that, rejecting sins committed and having a purpose of amendment, the person is turned back to God. Canon 988 §1. A member of the Christian faithful is obliged to confess in kind and number all grave sins committed after baptism and not yet remitted directly through the keys of the Church nor acknowledged in individual confession, of which the person has knowledge after diligent examination of conscience. §2. It is recommended to the Christian faithful that they also confess venial sins. Canon 989 After having reached the age of discretion, each member of the faithful is ob-liged to confess faithfully his or her grave sins at least once a year. Canon 990 No one is prohibited from confessing through an interpreter as long as abuses and scandals are avoided and without prejudice to the prescript of ⇒ can. 983, §2. Canon 991 Every member of the Christian faithful is free to confess sins to a legitimately approved confessor of his or her choice, even to one of another rite. Music plays a huge role in the Sacrament of Penance. Probably the most common experience of music in relation to this sacrament, would be the playing of recorded music in the church during a regularly scheduled reconciliation time, usually on a Saturday afternoon. This is of high importance due to the previously mentioned seal of confession. Playing music allows for an enhanced amount of privacy for the penitent as they bring their sins before God and the Church. A penance service is also a wonderful time to share music that focuses on the mercy of God with your congregation. Music choices, of course, should be more somber and penitential in nature; especially for penance services that occur during Lent and Holy Week. I’d like to suggest a couple of songs you may not be familiar with that help to set the appropriate environment for the reception of this wonderful sacrament of mercy and grace. Of course, there is also a treasure trove of appropriate songs available here. Sarah’s pensive instrumental intro leads the listener into a space of introspection. This song is a wonderful selection to play during any examination of conscience. As we prepare our hearts to take the humbling step of naming our sins, our short comings, our failings, we throw ourselves into the merciful arms of Jesus Christ and cry “Lord, have mercy on me!”. This song would be particularly appropriate for a penance service with a community that celebrates a regular contemporary liturgy, but is beautiful and accessible for any liturgical experience. Stepping away from a call to penance and into a call for conversion is Trevor Thomson’s, "Christ in me Arise," an incredible Lenten song that brings with it a strong call to conversion and a desire for God to set the listener on the path of discipleship and the Christian life. This song would be great for an entrance or sending forth, during a Lenten penance service. Based on passages from Isaiah 40 and 55, and Psalm 116, this song is a beautiful and powerful prayer for penance, and the Scripture can be sung a in Taizé-like style. It slowly builds in intensity, emphasizing the trust we place in the Lord. This setting is well suited for petition and prayer with a tune that the entire assembly will enjoy. 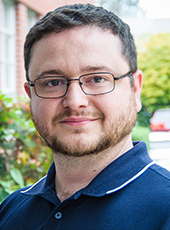 Jethro Higgins, ecommerce manager for ocp.org, currently serves as the Life Teen music coordinator and Youth Ministry Coordinator at Our Lady of the Lake Parish in Lake Oswego, Oregon. Jethro has more than 15 years of leadership experience in Contemporary Liturgy and Youth & Young Adult ministries.